The Ink Trap: March Peeks at Kraftin' Kimmie Stamps: Day Three! 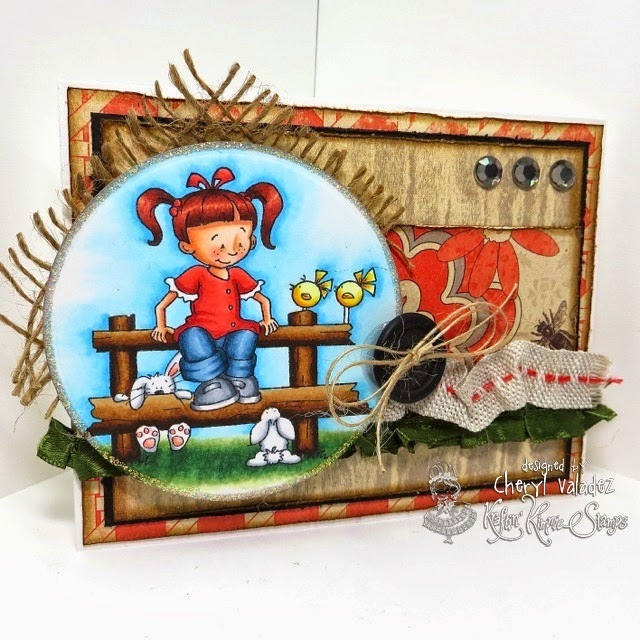 March Peeks at Kraftin' Kimmie Stamps: Day Three! Welcome back to day THREE of our MARCH Kraftin' Kimmie Peeks!!! The awesome new stamps just keep on comin'!! We are SO thrilled to share the newest set of THREE images with matching sentiments from CHERYL! With the popularity of a set we released last year, we have continued on with the farm theme so today we're showing you the new set called DOWN ON THE FARM 2!! This week our challenge hostess is TANGII! And her challenge is ANYTHING GOES!! So create a card, scrapbook page or altered item with a Kraftin' Kimmie stamp with no restrictions! Use any sketch, any design, any embellishments because Anything Goes! Have some krafty fun and join us this week because we'd LOVE to see your KKS designs. We hope you can play along for your chance to WIN some NEW Kraftin' Kimmie rubbah!!! Would you like to know who won the new stamp sets that we've previewed this week???!! Well, you'll just have to wait until TONIGHT at this month's ONLINE RELEASE PARTY!!! Hope you can join us for all the fun and excitement and prizes!!! We'll be releasing all the new stamps you've seen this week after the party at 7pm EST!! You can read all the details about how you can join us on the blog. Great card, love the burlap piece behind; it makes the card feel really unique! great coloring, love the burlap also! Soooooo cute!! This set is adorable Cheryl, as is your card. Love the bit of burlap. what great embellsihments to go along with a cute card. Great layout. Thanks for sharing. Oh Cheryl...what a lovely creation once again...I never get tired of looking at your creations. I love the image and the colours you used and of course all the texture/dimension you added to your card. Such a wonderful creation. Thanks for sharing and inspiring me. I love this cute image, such a sweet set. Great card. I love all the texture you brought into the card. Very nice. Fantastic coloring!! Love your card...the colors & texture you used definitely make it feel like you're down on the farm! Your coloring is so bright and beautiful. My eye is just drawn to it! Very nice! Gorgeous card! Those bunnies are so adorable! Great card made with these sweet images! I love how you cut the image into a circle-with glitter, and backed it with the frayed burlap! Very Cute. Love the little touches of burlap! Love the bunnies & how you did them white to stick out .Great job all around! Love the burlap you used to back the image!